First song: ‘Naak’ from Sniff!!! launched! After launching the exciting trailer of Eros International’s Trinity Pictures’ first franchise ‘Sniff!! !’ the makers have unveiled the first song, Naak from the family entertainer today. 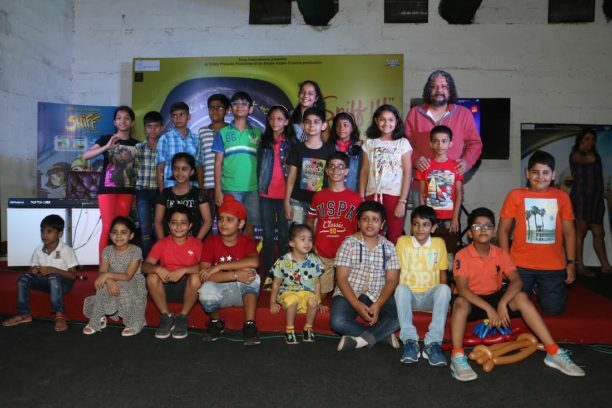 Helmed by acclaimed director, Amole Gupte, of Taare Zameen Par, Hawaa Hawaai & Stanley Ka Dabba fame, the man reputed to spot talent in children is all set to launch his next discovery- Khushmeet Gill, who plays the 8-year-old wonder boy who acquires a superpower. Khushmeet plays the lead protagonist, Sunny Gill, in this family entertainer that revolves around a young Sikh boy, who is a spy-in-the-making along with his curious gang of extraordinary cohorts. 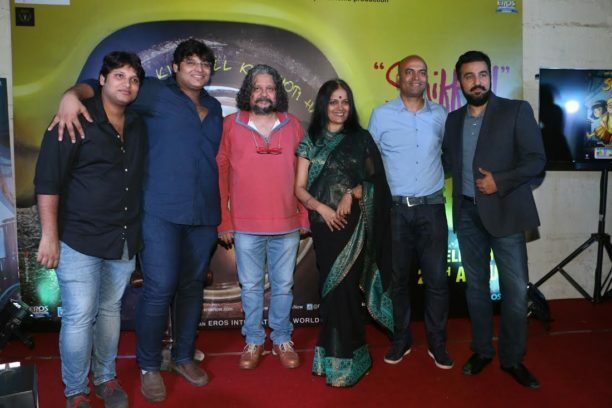 Amole, who has previously composed for his film, Hawaa Hawaai, has not just crooned the fun and quirky song in Sniff but also penned the lyrics related to the movie theme. The song launch activity also witnessed the talented screenwriter-actor-filmmaker jamming live with the music composer, Mujtaba Aziz Naza. Written & Directed by Amole Gupte, ‘Sniff!! !’, produced by Eros International’s Trinity Pictures, will release on 25th August, 2017.